Named One Of "15 Artists About to Dominate 2015"
New York, NY – January 21 - Incorporating elements of photography, drawings, journal pages and text art, Franck creates frenetic paintings with energetic abstractions bursting with color. De Las Mercedes draws inspiration from his New York backdrop and the effect that time and the elements have on urban surfaces. Complex, regarded as the premier multi-media platform for the young and most influential, Complex lists have become the go-to resource for the people that matter in an ever-evolving lifestyle. In it's latest article, the editors share their picks of 15 artist who are about to do big things this year. Franck De Las Mercedes is an artist who lives and works in New York Cit. He was born in Masaya, Nicaragua. With a self-obtained education, straight from the aisles of the Mid-Manhattan Public Library, Franck De Las Mercedes has emerged as one of the country's most prolific artists in recent years. In 2006, De Las Mercedes achieved international acclaim with his conceptual art project “The Priority Boxes." An ongoing public project conceived as a way to bring contemporary art to a broader audience. In recent years, the boxes have been adapted as teaching tool for teachers, community centers and art therapy counselors across the US. On June 18, 2012 The Priority Boxes’ “Peace Box” image was exhibited on the iconic LED screens of Times Square. Over 14,000 Peace Boxes have been sent to over 70 countries across the globe. On February 18, 2014 Franck lost over a decade of his body of work in a five alarm fire that destroyed his home and studio in Weehawken, NJ. The artist relocated to Washington Heights, the upper Manhattan neighborhood where he grew up to rebuild his life. Franck has participated in numerous national and international exhibits around the world including The Fabergé Big Egg Hunt New York, The Museum of Modern Art PopRally, Naples Museum of Art, Folklore Museum of Tripotamos - Tinos, Greece, National College of Ireland and The French Institute Alliance. In 2012, his portrait of Francisco de Quevedo was acquired by Fundación Francisco de Quevedo for their permanent collection in Ciudad Real, Spain. Franck has been featured on numerous national and international television shows and prestigious publications, including CNN En Español, Good Day New York, LatiNation, Univision's "Aqui y Ahora”, Selecciones (Reader's Digest), Art Business News, Hispanic Magazine, Museum VIEWS, American Style, The Daily Beast, Town & Country and was Blick Art Materials’ Spring Catalogue 2013 Featured Artist. Scottsdale (09.05.12) The Arizona Art Alliance and the Eternal Freedom Foundation of America, (EFFA) pay tribute to Arizona Military Veterans by hosting an art exhibit of Veterans’ Artwork at the Art Alliance Fine Art Gallery, (Scottsdale Pavilions at Talking Stick, 9011 E. Indian Bend, Suite E, Scottsdale, 85250) November 1st to 25th. The 6,000 square foot gallery will host exhibits featuring art created by Veteran artists called “Honoring Our Veterans” and a second exhibit featuring the work of Art Alliance juried artists called “America-What a Great Country!” Both will offer examples of art to reflect upon the freedoms Americans hold so dear. Also featured will be the EFFA sponsored traveling exhibit “Remember our Fallen”. The Alliance is a 501(c)(3) non-profit art organization comprised of over 4,000 artists from 32 Arizona-based art groups. Founded by local artists in 2000, the Arizona Art Alliance is committed to the promotion and appreciation of fine art and the enrichment that art brings to the community. The Eternal Freedom Foundation of America is dedicated to acknowledging the sacrifices of our American military veterans. EFFA's mission is to assist those who, during active duty, have sustained physical and psychological wounds to achieve maximum fulfillment and joy in life through restoration of mind, body and soul. For additional information, please contact John Fontana, 602 369-2854 or info@azartalliance.com. The North Scottsdale Chamber of Commerce will lead a formal ribbon cutting ceremony November 8th from 5 to 7 p.m. Among the dignitaries in attendance: Phoenix Mayor Greg Stanton, President Diane Enos of the Salt River Pima-Maricopa Indian Community, Scottsdale City Councilmember Bob Littlefield, the Honor Guard from Luke Air Force Base, and American Legion Riders of Post 29. The Exhibition is open to the public Wednesday through Sunday, 10 a.m. to 5 p.m. There will be an Artist Reception November 10th from 6 to 9 p.m.
We are very excited to present Daniel's first painting exhibition in Arizona. It is work that is unique on so many levels: the surface is both pristine and abraded, the image both exact and intentionally imperfect, the color both reminiscent of Southern California yet the layering renders them ancient as one can see the passage of time. Following is a review by Christopher Knight. "Abstract painting never looked more beat up, knocked down, abraded and used than it does in six otherwise eloquent new works by Daniel Brice. In all but one case, their simple Minimalist spatial geometry is enhanced by multiple panels which give material heft to the vaporously painted rectangular shapes." "The heavy burlap canvas glimpsed at the edges of these unframed works also adds to their rough-hewed quality. Visually, predecessors of Brice's work at Western Project are as disparate as California's Richard Diebenkorn and Germany's Günther Förg, although Diebenkorn's origins in landscape and Förg's in Conceptual art don't seem to apply. Brice is a materialist." First Saturdays are centered in the Promenade, an outdoor walkway off of 58th Avenue just north of Glendale Avenue and include live music performances along with the creative works of painters, sculptors, photographers, wood workers and other artists. Artists interested in participating in First Saturdays are encouraged to submit an entry form for consideration at http://artwerkslateral58.org or send an email to artwerks@thefusionfoundation.org. April 7, 2012..............10:00 a.m. - 4:00 p.m.
May 5, 2012..............10:00 a.m. - 4:00 p.m. 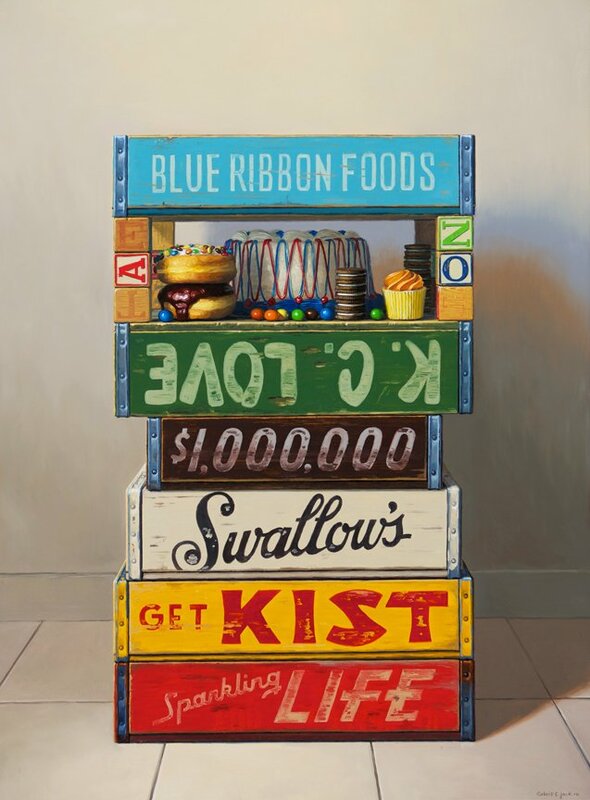 I am happy to present five colorful and whimsical new paintings by Robert C. Jackson. 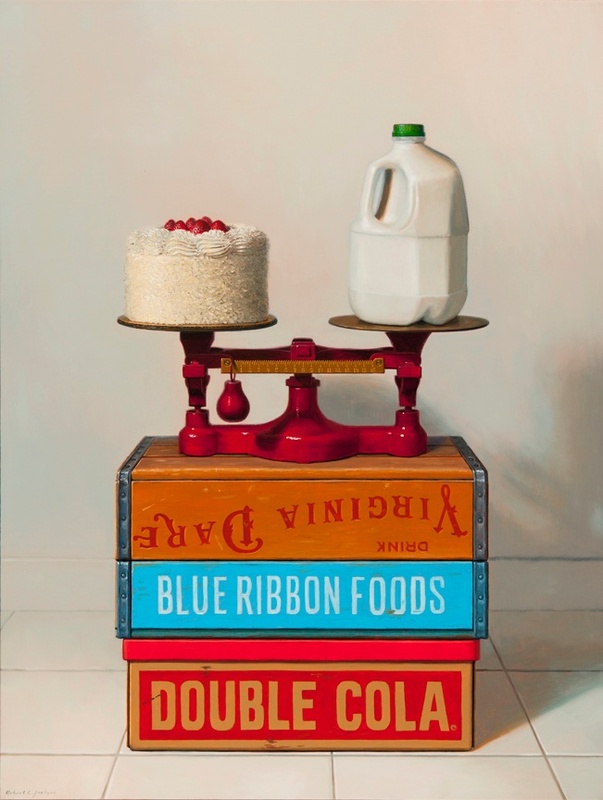 Jackson is known for his still lifes which are anything but traditional. 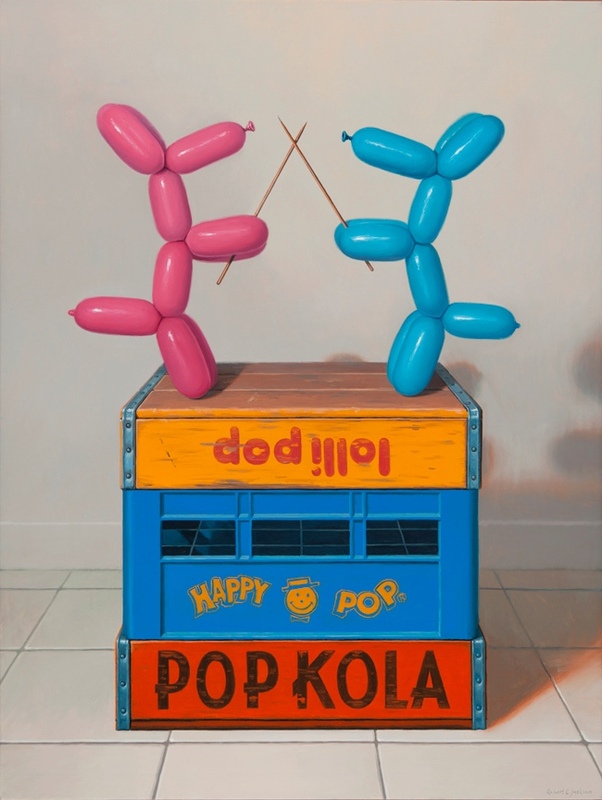 Using fun objects of Americana, including soda crates, balloon dogs, donuts and birthday cakes, Jackson creates a narrative painting which is often a humorous comment on contemporary life. "By infusing inanimate objects with a personality, I am able to explore the human narrative outside of personal biases and leanings. Often I find the resulting stories quite amusing." Please note that each of the new paintings are custom framed. The sizes which are indicated are the sizes of the linen canvas. 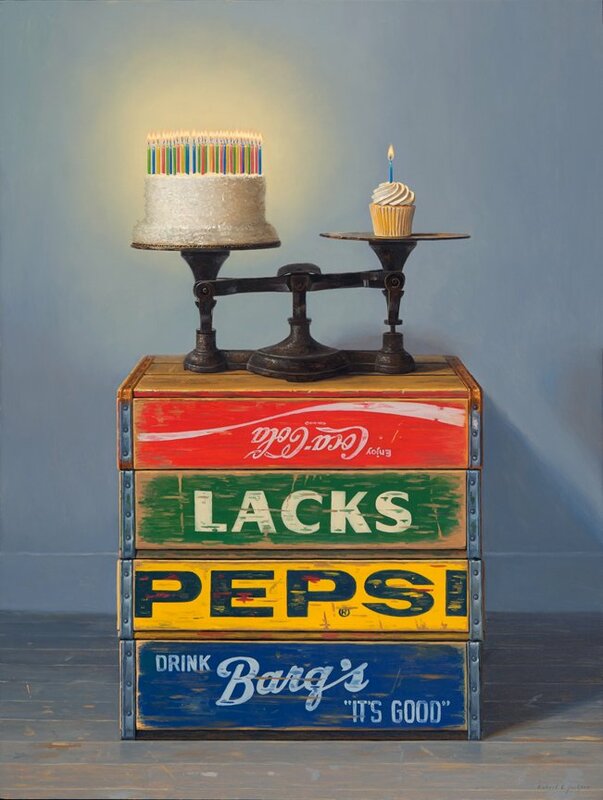 If any of these very realistic new paintings by Robert C. Jackson are "speaking to you", please let me know. P.S. Don't miss "Blink of an Eye", the smaller painting which is shown below. Many of our clients have asked us to let them know if we receive any earlier paintings by Stephen Morath. 1980's - early 1990's. Each has a special hand painted frame which was especially created by the artist to compliment the art. "Three Spring Storms" was painted in 1989. Don't you think that this two lane road through the mountains is unusually busy with people carrying various items in their trucks to unknown destinations? features an impressive Native American pueblo which holds a prominent place within the landscape. The sky above is filled with planets and the Milky Way as only Stephen Morath would imagine it. If one of these paintings strikes your fancy, please let me know. This is a rare opportunity to acquire a unique earlier painting by Stephen Morath. 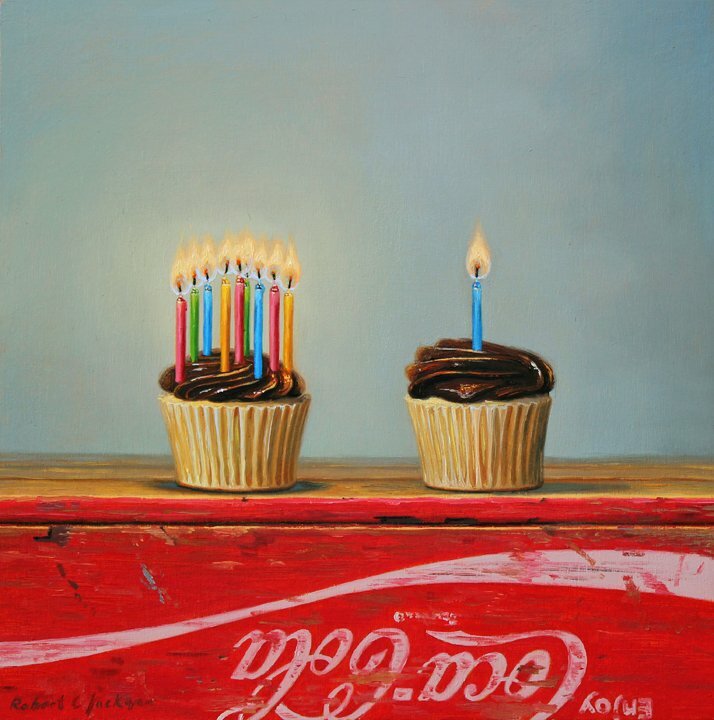 Leslie Levy Fine Art, Inc. - In Our 34th Year! The goal of Artwerks Lateral 58 is to have the arts flourish in Glendale's Centerline district creating a cultural community creatively and collectively; connecting the unique businesses located in Glendale's Centerline district with the local arts community. Studies have shown that investing in arts and culture not only enhance the quality of life for a downtown area, but also have a strong economic impact on local business by creating a vibrant energy that attracts residents, merchants and visitors. Artwerks Lateral 58 takes its name from the historic 58th parallel (now 58th Avenue) in the heart of Glendale's downtown. Artists are given space along the historic and recently renovated alleyway just east of downtown's Murphy Park at 58th Avenue, just south of the incredible Bead Museum., Event goers will have the opportunity to watch artists at work as well as tour the historic area and enjoy its many boutique shops and dining options. The day-long events are from 10 a.m. to 4 p.m. and noon to 4 p.m. for musicians. Artwerks takes place regularly on the first Saturday of the month beginning in February through May. We're looking for artists to join Glendale's new art district Artwerks Lateral 58 - as part of Centerline in historic downtown Glendale. Artwerks Lateral 58 showcases a variety of original art including paintings, metal, bronze, wood, clay, hand crafted jewelry, mosaics, glass work, beads and pottery, and live music, dancing and singing. All events are between 10 a.m. to 4 p.m. during the city of Glendale's Glitters festivities for the next three Saturdays, December 4, December 11 & December 18 with live music from Noon - 4 p.m.
We will take a break in January for a big party - SAVE the Date of January 11th about 5:00 p.m.
You provide table/chairs, displays to work on art and display your art. The entrance fee is waived. For more information or to participate as one of the artists please contact artwerks@thefusionfoundation.org. You can make a difference in the community today! The exhibition offers special access to a variety of works that are uniquely sized and modestly priced; a great opportunity to acquire the perfect compliment to established as well as burgeoning collections. Featuring: Catherine Courtenaye, Rachel Darnell, Lawrence Fodor, Colette Hosmer, Jun Kaneko, Louis de Mayo, Bobby Silverman, Jeremy Thomas, Ellen Wagener, Denise Yaghmourian, Hiro Yokose, and Lucinda Young. 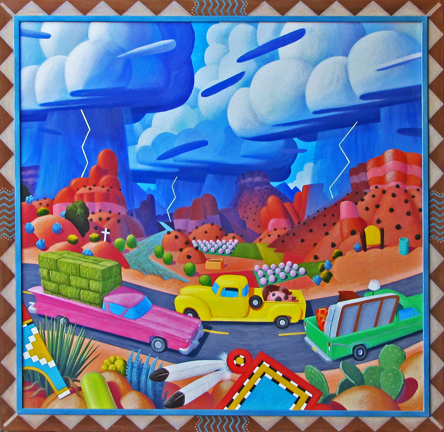 Additionally, 100+ works were recently donated to Scottsdale Museum of Contemporary Art by Carolyn Eason of Santa Fe, NM. Many of these pieces are on display in SMoCA's "Thirty Years of Collecting: A Recent Gift to the Museum", of which, three are by our artists (as featured in A Sneak Peek - Phoenix New Times). Ain't Nobody Here" (But Us Chickens) is one of Georgia Gerber's newest bronze sculptures. As you can see, Georgia has been busy this summer creating new sculptures for her many collectors. We thought you might be interested in seeing some of Georgia's newest bronzes. With this email you will find photographs of five new limited edition sculptures. To find out the information for each sculpture, just click on the blue link below the photograph. Georgia Gerber captures the endearing characteristics of the animals and birds which she admires. Her simplified bronze sculptures portray whimsy, a sense of compassion and happiness. I hope that you can feel the joy which the artist experienced when she created these sculptures. Please let us know if you are interested in owning one of them. Leslie Levy Fine Art, Inc. - In Our 33rd Year! February 27, Saturday 2pm A major challenge for curators, artists and art communities is to dispel the many stereotypes surrounding Latin American art. Hear the intriguing insights of one of the country's leading curators focused on the work of artists of the Americas and their role within the broader regional, national, and global art ecologies: Cecilia Fajardo-Hill, the new Chief Curator at Museum of Latin American Art (MOLAA) in Long Beach, CA and former Director and Chief Curator of the Cisneros Fontanals Art Foundation and the Ella Fontanals Cisneros Collection in Miami. April 3, Saturday 2pm Doña Barbara is a classic film based on Romulo Gallegos’ novel from el ciclo literario de Mexico, Mexico’s literary film series. Starring Maria Felix, Andres Soler, Julian Soler, Maria Elena Marques and Roberto Cañedo, it tells the fascinating story of a man who returns home after studying law to take charge of his father’s cattle ranch in Apure, Venezuela only to find the area controlled by the beautiful yet despotic Doña Barbara who rules using seduction and pacts with demonic spirits to satisfy her whims and achieve power. Join us for this riveting portrayal of good vs. evil. Doña Barbara and Informe Toledo (Toledo Report) made possible in part through the generous support of Phoenix College and the Consul General de México in Phoenix, AZ. April 17, Saturday 2pm Popular speaker Patrick Frank is a bi-lingual art historian, curator, author of Posada's Broadsheets: Popular Imagery in Mexico City, 1890-1910, and the author of Artforms: An Introduction to the Visual Arts, as well as editor of Readings in Latin American Art, and contributor to Marilyn Stokstad’s Art History, 3d edition. As witty as he is eloquent, Dr. Frank will discuss expressive 20th century figural art in Hidden Innovations in Modern Latin American Art. 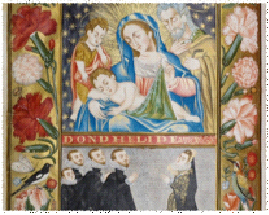 May 20, Thursday 5:30-7:00pm Collecting Spanish Colonial Art: One Man’s Historical and Art Odyssey is presented by Michael A. Brown, Mayer Center Fellow in Spanish Colonial Art at the Denver Museum of Art. Mr. Mayer will discuss the fascinating life of DC Stapleton which was full of exotic travel, romance and international intrigue. Stapleton’s equally fascinating collection consists of over 500 objects such as masterpieces and secret drawers in colonial furniture which turned out to contain emeralds and other jewels, not discovered until opened by the curators at the Denver Art Museum. Cocktail reception immediately following on Grossman Terrace. ASU Museum of Anthropology, ASU Museum of Anthropology, Cady and Tyler malls. (480) 965-6224. Art Editions, 3908 N. Scottsdale Road, Scottsdale. (480) 990-1200 Ext. 101.One-Woman Mexican Art exhibition Arizona debut exhibition of Mexican master painter Cecilia Amaro, who pa still lifes: landscapes and abstract paintings. Ongoing. Chandler Center for the Arts, 250 N. Arizona Ave.(480) 917-6859. “Choices and Change: American Indian Artists in the Southwest.” The signature exhibit will include paintings, sculpture, jewelry, baskets, kachina dolls and pottery. Ongoing. “Our Weaving: Textiles From the Four Corners” An exhibition featuring 12 Navajo weavings. Ongoing. “Interpretive Garden” A lush array of native plants, sculpture by American Indian artists and a water feature, as well as information to assist in education and interpretation. Ongoing. 10 a.m. to 5:30 p.m. Mondays-Saturdays, noon to 5 p.m. Sundays, 32633 N. Scottsdale Road. Admission: $2-$5. (480) 488-9812. Herberger Theater Center Art Gallery, 222 E. Monroe, Phoenix. (602) 254-7399. American Fine Art Editions - One-Woman Mexican Art Exhibition Arizona debut exhibition of Mexican master painter Cecilia Amaro, who paints still lifes, landscapes and abstract paintings. Ongoing. American Fine Art Editions, 3908 N. Scottsdale Road, Scottsdale. (480) 990-1200, Ext. 101. Arizona Museum for Youth - “Artville” is an ongoing exhibition designed as a small town for kids up to age 5, featuring an art gallery, performing arts center and art studio governed by the imaginary mayor of Artville, Art. Underwater FantaSEA” celebrates all there is to love about the living waters around the world and their colorful marine life with paintings, drawings, multimedia pieces and activities. Through July 22. “Discovering Nature’s Alphabet,” a series photographs of naturally occurring letters, offers children and their families a playful way of exploring and studying nature. Through July 29. “Faces of Art: The Masks of Zarco Guerrero” The beauty, pageantry and power of masks have served as reflections of the ever-changing belief systems of different cultures. Through Oct. 7. 10 a.m. to 4 p.m. Tuesdays through Saturdays and noon to 4 p.m. Sundays, 35 N. Robson, Mesa. Admission: $5. (480) 644-2467. “Renegade Clay” This exhibition uncovers the work of five artists from Western states who are defining a new generation of clay workers. Through Sept. 4. “Visual Melodies: Selections from the Permanent Collection” an orchestra of images with violins, pianos, horns and drums playing a silent melody for all to see. Through Sept. 15. “Connectivity Stage 1” sound artist David Birchfield explores works in the permanent collection by creating an audience-interactive mediated space. Through Sept. 29. ASU Art Museum Ceramics Research Center Showcase of ceramics from ASU’s collection. “Renegade Clay: 5 Views From the West” Uncover the work of five artists from Western states who are defining a new generation of clay workers. Through Sept. 4. 10 a.m. to 5 p.m. Tuesdays-Saturdays, Mill Avenue and 10th Street, Tempe. Admission: Free. (480) 965-2787. Fifth Annual Bon Appetit ArtWalk The evening features hors d'oeuvres and pastries from Scottsdale's best restaurants, Wine tastings and martini bars, and live music along the gallery route. 7 p.m. to 9 pm. Thursday, Oct.25.Main Street and Marshall Way. Scottsdale. Admission: Free. (480) 990-3939. Art on the Move: Eighth Annual Gala food and live entertainment, silent auctions, jazz singer Rachel Price, and post-performance dessert and champagne reception with the artist. Proceeds will support arts education programs for youth at Mesa Arts Center. 6 p.m. Saturday, Oct. 27, Mesa Arts Center, 1 E. Main St. Admission: $200. (480) 644-6500. Central Gallery, Burton Barr Central Library Permafrost: Recent Work by Matt Kruback This series of recent paintings and drawings are based on actual atmospheric events and locations witnessed by the local artist. Through July 30. Central Gallery, Burton Barr Central Library, 1221 N. Central Ave. (602) 256-3521. Desert Botanical Garden, 1201 N. Galvin Parkway, Phoenix. (480) 941-1225 Picasso: 25 Years of Edition . Ceramics An exhibit of 65 ceramic works - plates, bowls, pitcher vases, and plaques, plus posters from previous Picasso ceramic exhibitions and photographs 0f Picasso at work at the Madour, workshop. Through Nov. 15. Fountain Hills Community Center, 13001 N. La Montana Drive. (480) 816-5200 Fall 2007 Art Show Diverse , paintings chosen from 210 entries by 92 artists who are all part of the Arizona Watercolor Association. Through Nov. 15. Heard Museum “Animals in Art Explore” exhibits and enjoy music and dance performances, children’s authors, hands-on activities and free snacks, as part of the Sizzlin’ Summer Saturdays. 11 a.m. to 3 p.m. Saturday, July 7. Heard Museum, 2301 N. Central Ave., Phoenix. Admission: $3-$10, kids are free with a paid adult. (602) 252-8848. Scenes From "Cabaret!” Join the cast and crew of Mesa Encore Theatre at Riverview's Theater District for singing, dancing and mingling. Specially pizza from Red Brick Pizza's "Cabaret Menu· will be available. 7 p.m. to 10 p.m. Saturday, Oct. 27, Mesa Riverview, 1061 N. Dobson Road. Admission: Free. www.mesariverview.com. Monsters Ball There will be live entertainment, costumes, Planet Poe, dancers, DJs, dungeon, spiders and zombies, a monster buffet and a cash bar. 7 p.m. to 1 a.m. Saturday, Oct. 27. Alwun House Gallery & Gardens, 1204 E.Roosevelt St., Phoenix. Admission:$10-$13 (602)253-7887. TunderMountain Art Festival There will be book signings, local artists, food, jewelers, original art and prints; and a demonstration by featured artist CJ Rider 9 a.m. to 4pm;, Oct. 27, Gallery of the Superstitions, 2114 W. Apache Trail, Apache Junction. Admission: Free. (480) 671-1234. Duley-Jones Gallery, Artist Reception: Sylvia Long The illustrator will be signing copies of her modern children’s classics. 7 p.m. to 9 p.m. Thursday, July 5. Duley-Jones Gallery, 7100 E. Main St., Scottsdale. Admission: Free. (480) 945-8475. American Fine Art Editions 3908 N. Scottsdale Road, Scottsdale. (480) 990-1200, Ext. 101. Arizona Historical Society Museum 1300 N. College Ave" Tempe. 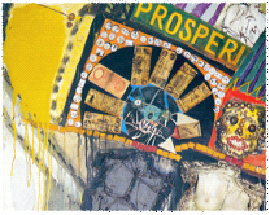 "Notes From the Past:' Fourth Annual Dia de los Muertos Altars & Art Exhibit. "The exhibit incorporates individual, community and humanistic historical landmarks to celebrate Day of the Dead. Through Nov. 4. 10 a.m. to 4 p.m. Tuesday-Saturday and noon to 4 p.m. Sunday, Admission: $4. (480) 929-0292. Arizona Museum of Natural History 53 N. MacDonald, Mesa.Features a dinosaur exhibit, a history courtyard and a native peoples gallery. "Crocodiles: Ancient Survivors": See how they bave changed over time. Ongoing. "Hohokam! Ancient Monuments of the Salt River Valley": The Salt River Valley was home to the Hohokam, who built. ancient temples and vast networks of enormous irrigation canals that lie beneath our homes and streets. Ongoing. 10 a.m. to 5 p.m. Tuesday-Friday, 11 a.m. to 5 p.m. Saturday, 1 p.m. to 5 p.m. Sunday, Admission: $4-$8. (480) 644-2230. ASU Art Museum Nelson Fine Arts Center, Mill Avenue and 10th Street, Tempe. (480) 965-2787 "Everyday Miracles: Latin American Folk Art From the Cecere Collection" examines the interaction between the secular and the sacred in Latin America. Through Jan. 5. "Jarbas Lopes: Cicloviaerea": Using bicycles, sculpture, drawing, installation, video and performance, Lopes builds the work within the gallery and then takes it into the community. Through Dec. 30. "Moving Targets, Business as Usual/New Video From China/Cao Fei and Yang Fudong": To address the emergence of a new middle class in China, they portray workers who left small towns to pursue life in the big city and took with them the dreams to be dancers and singers, but ended up in factories. Through Dec. 9. "Moulthrop Generations; Turned Wood Bowls by Ed, Philip and Matt Moulthrop":The Moulthrops are known for their concentration on the inherent beauty of local woods, elegant vessel forms, and innovations in surface treatment and turning technique. Through Jan. 26. 10 a.m. to 9 p.m. Tuesdays, 10 a.m. to 5 p.m. Wednesday-Saturday Nelson Fine Arts Cen1er, Mill Avenue and 10th Street, Tempe. Admission: Free. (480) 965-2787. ASU Art Museum Ceramics Research Center Mill Avenue and 10th Street, Tempe. (480) 965-2787. ASU Museum of Anthropology, Cady and Tyler malls (480) 965-6224. ArtWalk arts district along Main Street from Scottsdale Road to Goldwater Boulevard and on Marshall Way from Indian School Road to Fifth Avenue. (480) 990-3939. Central Gallery, Burton Barr Central Library 1221 N. Central Ave. (602) 256-3521. Heritage Park: Free Victorian Crafts and Activities Get the facts on how ice was made in early Phoenix while using old and new ice shavers to make snow cones from a block of ice. Take a step back in time to enjoy a piece of history while making vintage crafts. 11 a.m. to 1 p.m. Saturday, July 7. Heritage and Science Park, 115 N. Sixth St., Phoenix. Admission: Free. (602) 262-5071. Hernandez Contemporary Fine Art, 4200 N. Marshall Way, Scottsdale. (480) 429-6262.Alchemy .. Algorithm Edward Lentsch's textural paintings create narrative where science and mysticism meet. Through Oct. 25. Larsen Gallery, 3705 N. Bishop Lane, Scottsdale. (480) 941-0900.Geometry Features the freestanding and wall-dependent works of Florida artist Jane Manus. Through Nov. 30. 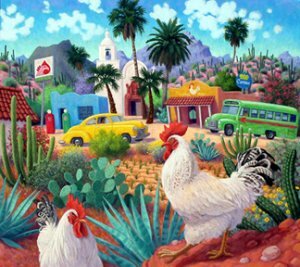 "Gallos Blancos" below is a new painting by Stephen Morath. It is an acrylic on canvas measuring 30" x 34" at Leslie Levy Fine Art. Mesa Southwest Museum Features a dinosaur exhibit, a history courtyard and a native peoples gallery. “Paradise Lost: Arizona South of the Ice” go back to the Ice Age. Ongoing. “Crocodiles: Ancient Survivors” see how they have changed over time. Ongoing. “The Southwest in Art” pieces from the museum’s own collection will be displayed. Ongoing. “Your Healer Within” the human body show for the whole family. Ongoing. 10 a.m. to 5 p.m. Tuesdays-Fridays, 11 a.m. to 5 p.m. Saturdays, 1 p.m. to 5 p.m. Sundays, 53 N. Macdonald. Admission: $4-$8. (480) 644-2230. “Parallel” is a new installation of alternative materials by Kenneth Richardson and Ted Troxel. Through July 29. “Physical Presence” the figure in contemporary art. Through Aug. 8. “Contemporaneous Corroboration” highlights the work of Phoenix couple Annie Lopez and Jeff Falk. Through Aug. 12. “Latent Image” Arizona artists utilize photography as their means of expression. Through Aug. 12. 10 a.m. to 5 p.m. Tuesdays-Wednesdays, 10 a.m. to 8 p.m. Thursdays-Saturdays and noon to 5 p.m. Sundays. Mesa Arts Center, 1 E. Main St. Admission: $3.50. Free on Thursdays. (480) 644-6560. Mesa Historical Museum “Searching for Mesa: Finding Ourselves in Our History” features more than 200 historic photographs and artifacts that led to Mesa’s rise to become the 40th-largest city in the U.S. Ongoing. 10 a.m. to 4 p.m. Tuesday through Saturday, 2345 N. Horne. Admission: $3-$5. (480) 835-7358. Phoenix Center for the Arts, 1202 N. Third St. (602) 262-4632.The Arizona Pastel Artists Association, is presenting a juried show of some Arizona's most talented pastel artists. Through Oct. 25. Naked Horse Gallery - New Paintings and Bronzes by Guilloume Ongoing. Naked Horse Gallery, 4151 N. Marshall Way, Scottsdale. (480) 947-0221. Scottsdale Artists' School, 3720 N. Marshall (480) 990·1422.The Best and Brightest Fine Art Show and Sale Featuring paintings, drawings and sculpture from professional as well as , undiscovered artists, the annual juried show is considered a not miss by collectors and enthusiasts. Through Nov. 16. “Contemporary Scandinavian Art” four Scandinavian artists make work in response to Arizona’s physical environs and social landscape. Through Sept. 2. “SouthwestNET: Drawing Outside the Lines” looks at the greatly expanded practice of drawing today. Through Sept. 16. “Modern(ist) Love: The Dorothy Lincoln-Smith and Harvey K. Smith Collection” Their mutual passion for abstract art is but one aspect of their shared exuberance for a life. Through Sept. 16. “Space is the Place” will feature installations, paintings, works on paper, and sound and video works made during the past ten years by an international group of contemporary artists. Through Sept. 2. 10 a.m. to 5 p.m. Tuesdays-Saturdays, 10 a.m. to 8 p.m. Thursdays, noon to 5 p.m. Sundays, 7374 E. Second St. Admission: $7. Free on Thursday. (480) 994-2787. Lisa Marie Sipe The artist paints with the ancient medium of encaustic, or pigment in wax, to push the boundaries of natural beauty in unexpected and provocative ways, while maintaining a sense of the organic. Through July 12. Step Gallery, 817-951 5. Mill Ave., Tempe. (480) 965-7044.Double X Invitational exhibition of small works by Women 8CIllploIlt from art departments all over the country and their graduating students. Through Oct. 26. Weekly downtown Scottsdale art walk in the arts district along Main Street from Scottsdale Road to Goldwater Boulevard and on Marshall Way from Indian School Road to Fifth Avenue. Many downtown galleries remain open during this event. 7 p.m. to 9 p.m. Thursdays. Admission: Free. (480) 990-3939. Tempe City Hall Gallery Landscapes The exhibition explores contemporary and traditional approaches to landscape images including printmaking, drawings and photography. Through Oct. 28. City Hall Gallery, 31 E. Fifth St., Tempe. (480) 967-2001. Tempe Public Library, lower level, 3500 S.Rural Road. (480) 350-2867. Containment An exhibition exploring the themes and media surrounding artists' interpretations of "containment." Through Nov. 2. Textures Gallery at artspace - Soheil Farsani The beautifully crafted furniture is a combination of metal and wood, with whatever other material the artist cares to add to capture the essence of the piece. Opens July 5, through Aug. 6. Textures Gallery at artspace, 4235 N. Marshall Way, Scottsdale. (480) 947-4014. Tilt Gallery - Selected artists from around the world working in historical or alternative methods. Through July 20. Tilt Gallery, 919 W. Fillmore St., Phoenix. (602) 716-5667. Vihel Center for the Arts - Going Places Artwork form places all over the world. Through July 12. Art On Main, 48 W. Main. St., Mesa. (480) 649-7400. Instructors Exit Studio An exhibition of original artwork by instructors from the Studio Artists Program. Through Aug. 30. Vihel Center for the Arts, 3340 S. Rural Road, Tempe. (480) 350-5287. Red, Hot, and Cool Too A few of the artists being featured include: Charles Davison, Linda CarterHolman, and Thomas Nelford. Opens July 5, through July 26. 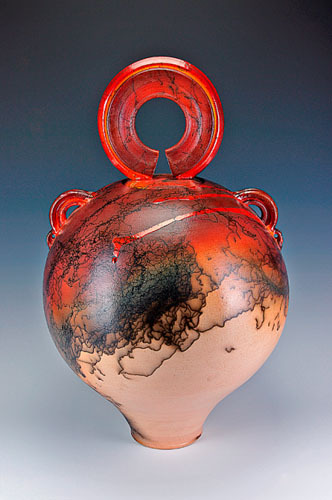 Splash into Colores Fran Larsen and Charles Davison’s vibrant works will be among those featured. Opens July 5, through July 26. Wilde Meyers Art Galleries, 7100 E. Main St., Scottsdale. (480) 947-1489. Willow Gallery - Celebrating the Figure Featuring paintings and sculptures representing the realistic, the romantic, and the whimsical. Opens July 5, through July 31. Willow Gallery, 7175-7177 East Main Street, Scottsdale. (480) 424-7300. Duley-Jones Gallery, Artist Reception: Sylvia Long 7100 E. Main St., Scottsdale (480) 945-8475. Heard Museum 2301 N. Central Ave., Phoenix. (602) 252-8848. Heard Museum North Scottsdale 32633 N. Scottsdale Road. (480) 488-9812. "Choices and Change: American Indian Artis1s in the Southwest: The signature exhibit will include paintings, sculpture, jewelry, baskets, kachina dolls and pottery. Ongoing. "Our Weaving: Textiles From the Four Corners": An exhibition featuring 12 Navajo weavings. Ongoing. "Interpretive Garden": A lush array of native plants, sculpture by American Indian artists and a water feature: as well as information to assist in education and interpretation. Ongoing. 10 a.m. to 5:30 p.m. Monday-Saturday, noon to 5 p.m. Sunday, Admission: $2-$5. (480) 488-9812. Heritage Park 115 N. Sixth St., Phoenix. Admission: Free. (602) 262-5071. Mesa Southwest Museum 53 N. Macdonald. (480) 644-2230. Mesa Contemporary Arts Mesa Arts Center, 1 E. Main St. (480) 644-6560. 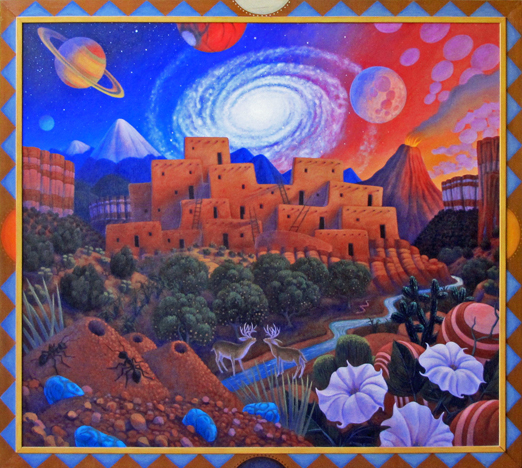 "Mysterium Fidei and Daniel Martin Diaz" by the Tucson artist and musician creates mystical, surreal, time-worn paintings with influences of devotional folk art, ritual and irony converge with Catholic iconography. Through Dec. 2. "Papel Chicano: Works on Paper From the Collection of Cheech Marin" features nearly 40 works, many never before publicly displayed, by established artists using the bold and intense image rich in color that has long been a trademark of artwork created to express the Chicano experience. Through Jan. 6. "Beyond the "Cell" explores the influences of animation on contemporary art. Through Feb. 10. 10 a.m. to 5 p.m Tuesdays-Wednesdays, 10 a.m. to 8 p.m. Thursday-Saturday and noon to 5 p.m. Sundays.$3.50. Free on Thursdays. Naked Horse Gallery 4151 N. Marshall Way, Scottsdale. (480) 947-0221. Tempe City Hall Gallery City Hall Gallery, 31 E. Fifth St., Tempe. (480) 967-2001. Textures Gallery 4235 N. Marshall Way, Scottsdale. (480) 947-4014. Tilt Gallery Tilt Gallery, 919 W. Fillmore St., Phoenix. (602) 716-5667. Vihel Center for the Arts 48 W. Main. St., Mesa. (480) 649-7400. Vihel Center for the Arts 3340 S. Rural Road, Tempe. (480) 350-5287. Wilde Meyer Gallery 7100 E. Main St., Scottsdale. (480) 947-1489. Willow Gallery 7175-7177 East Main Street, Scottsdale. (480) 424-7300. Hear the lioness tune up her roar. Amy Winehouse's soulful voice was snuffed out too early, as evidenced by the eagerly awaited compilation of previously unreleased tracks, remastered classics, and brand-new compositions. 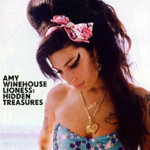 Lioness: Hidden Treasures proves that the singer's musical legacy continues to give back.